The fall season is upon us! The foliage of my kiwi vines has turned a bright yellow. And the pumpkins growing in my neighbor’s pumpkin patch are now ready for picking. Last weekend, I went to a local pumpkin patch and bought pumpkins of varying sizes and a butternut squash and hurried back home to cook my first pumpkin soup of the season. That night, we had pumpkin soup for dinner, which was deliciously comforting, paired with hot toasted bread. Mmmm, I had to go for seconds. What a wonderful fall treat it was! Are you ready for the pumpkin season? The hardcover edition of The Roll-Away Pumpkin is now available on BarnesandNoble and Amazon. 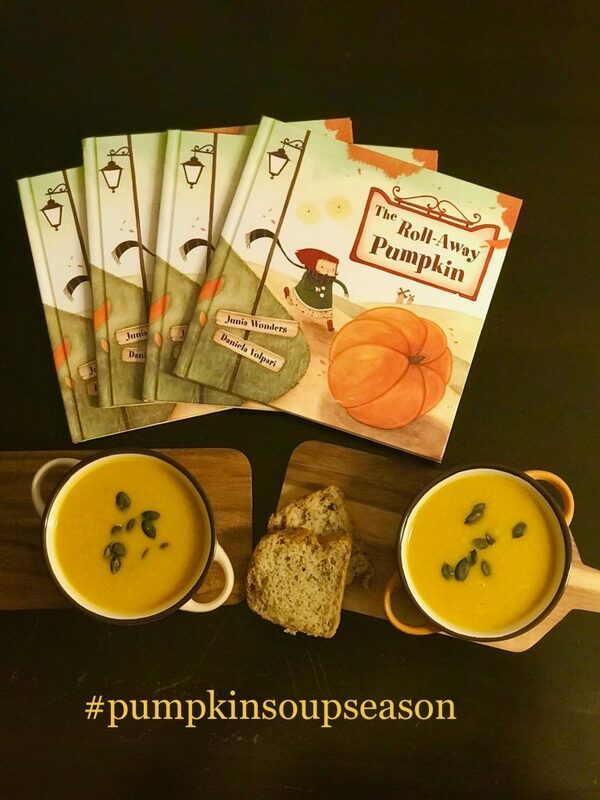 It’s the perfect autumn bedtime tale to enjoy with your little pumpkin or to give to someone special as a gift.